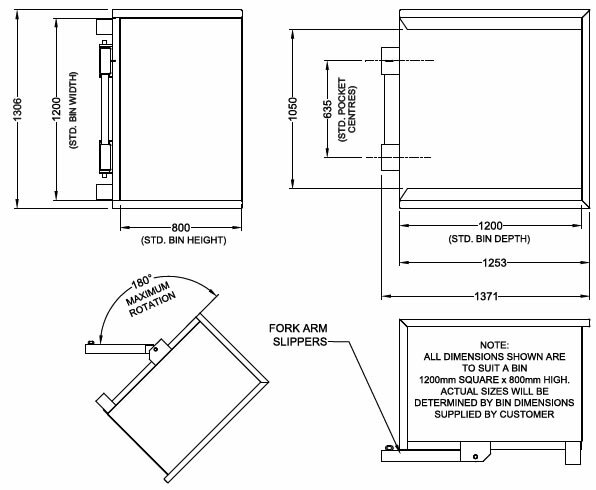 The FBT-M forward bin tipper allows for 180 degree rotation of almost any bin. 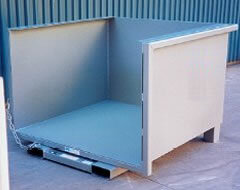 We can manufacture the FBT-M to suit your specific bin size. No hydraulic connection required to the forklift. 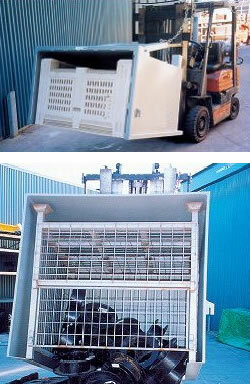 Rotation carried out without the forklift operator leaving his seat, the faster the lift the quicker the empty.